Telkom has officially signed the strategic partnership with Commonwealth Life Insurance. This partnership intends to produce digital payment based insurance products. The product initiative called “Jiwa Sehat” collaborates Commonwealth Life product line with TCASH‘s payment service. By using telemarketing distribution channels, TCASH customers contacted by Commonwealth Life can buy Jiwa Sehat insurance products and make a cashless premium payment via TCASH. Elvis Liongosari, Commonwealth Life’s President Director explained that this digital era offers unlimited opportunities and this is one of the company’s strategies to maximize any potential available. “Jiwa Sehat is an answer to public’s need of a secure health insurance and an easy cashless payment process via TCASH feature,” he said. Aside from TCASH, Telkom Group takes some of its subsidiaries. First, PT Finnet Indonesia engaged in aggregator industry of bill payment as intermediary payment. The second is PT Infomedia Nusantara engaged in Business Process Management (BPM) and will act as telemarketing service provider in this case. The marketing partnership utilizes the advance digital payment technology for customers to easily get insurance and make real-time premium payment, as well to support the insurance industry and digital payment in Indonesia. 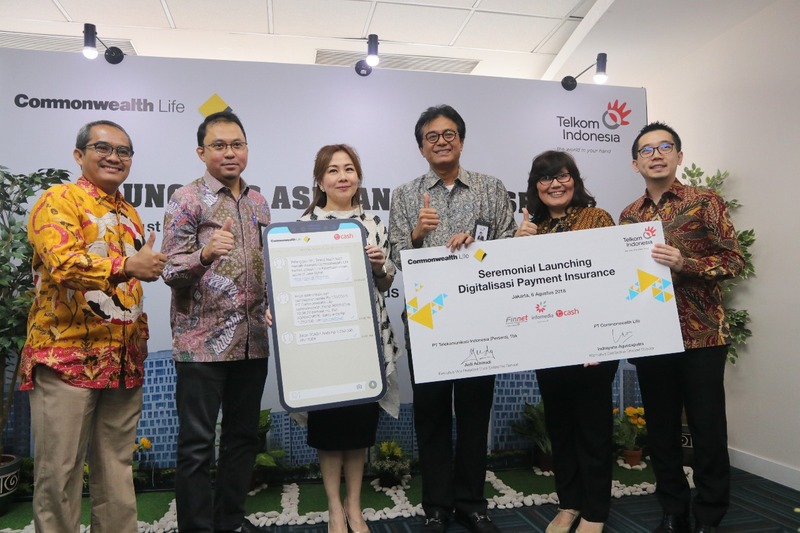 “Telkom Group is ready to support the digitization of Indonesian insurance industry through the digital payment provision which moves along with the government policy to encourage cashless society creation while prioritizing easy and secure transaction,” Dian Rachmawan, Telkom’s Enterprise & Business Service Director, said.